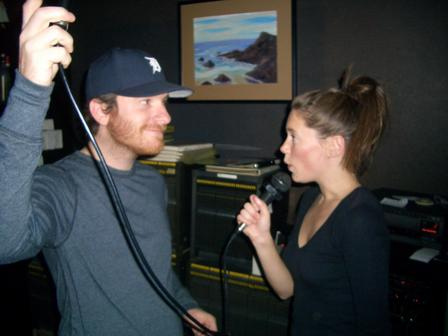 Q & A: Karaoke Question, Best Place To Belt It Out? Hey Nora, what's the best place to go for group Karaoke? Where you can rent a room for a large group? Or maybe a bar with karaoke? Answer: First of all, I'm afraid you're only permitted to read this answer if you agree never to karaoke Sir Mix-A-Lot's Baby Got Back. Hearing people drunkenly karaoke that song is like watching people dance to I Will Survive at weddings. IT MUST STOP. TOO MUCH. Now that I've said my piece: I feel I'd be remiss in answering this question without first addressing the above photo. My friend M. is the Karaoke Queen. And, as anyone who has had ample karaoke experience knows, her royal highness fits the "unassuming" profile. It's always the quiet, demure ones, no? Anyway, M. not only transforms from adorably awkward, proper lady to maniac crooner at the first sign of an old school Britney or Destiny's Child ballad, but she also works serious dance moves. It's truly a sight to behold. 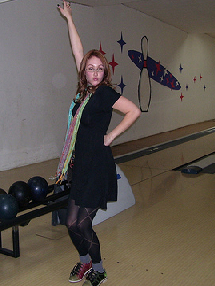 Okay, I know that All Star Lanes is TECHNICALLY a bowling alley and a trek, but bear with me. First of all, they have bowling AND karaoke AND a bar on Saturday nights (double check cause the schedule changes). 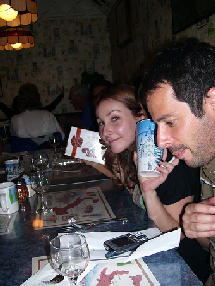 Second of all, you're like blocks from Casa Bianca, so–for my 29th birthday for example–I had a bowling party, followed by drunken karaoke, followed by eating our weight in crazy inexpensive yummy Italian food at Casa Bianca (they take reservations for parties over six, I believe). AMAGI is a bar situation in Hollywood. I'm not sure about private rooms, but their karaoke area in intimate enough not to feel intimidating, so . . .
BRASS MONKEY is an old standard for locals; they've actually been open since 1971. This is a great option if you want drinks AND snacks, as they're actually a cafe too. Every night of the week! OIWAKE in Japanese Village Plaza is always festive and you can eat sushi and drink sake while you sing. I just really like the Little Tokyo karaoke scene cause I get it feels authentic. Apparently, City Cat Karaoke has private rooms, but I know a bunch of the Little Tokyo spots do. Metromix offers some other options and City Search did a "Best Of" LA Karaoke for 2008, which lists some Sawtelle and Korea Town options. I know K-Town has some great spots, but I haven't experienced anything except Zip for cocktails. Same with Sawtelle. So, if anyone can recommend some good Korea Town and west side spots, then please "comment" below and let us know! Also, it's hardly a private room scenario, but bars like Barney's Beanery and Guys (sorta underground star-studded) totally do weekly karaoke nights. Kinda makes you want to sing. And dance. Right, M.?